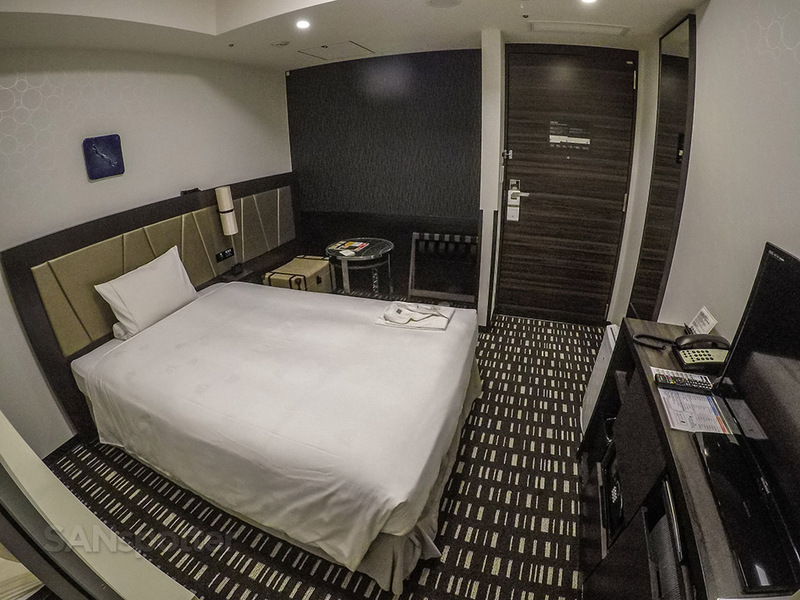 Royal Park Hotel THE Haneda – perhaps THE weirdest hotel name ever? Have you ever been in Japan and forgot that you’re actually there until something really weird happens that would never happen at home? Japanese culture is very different from my own, so this happens to me every time and it’s always a bit of a jarring experience. 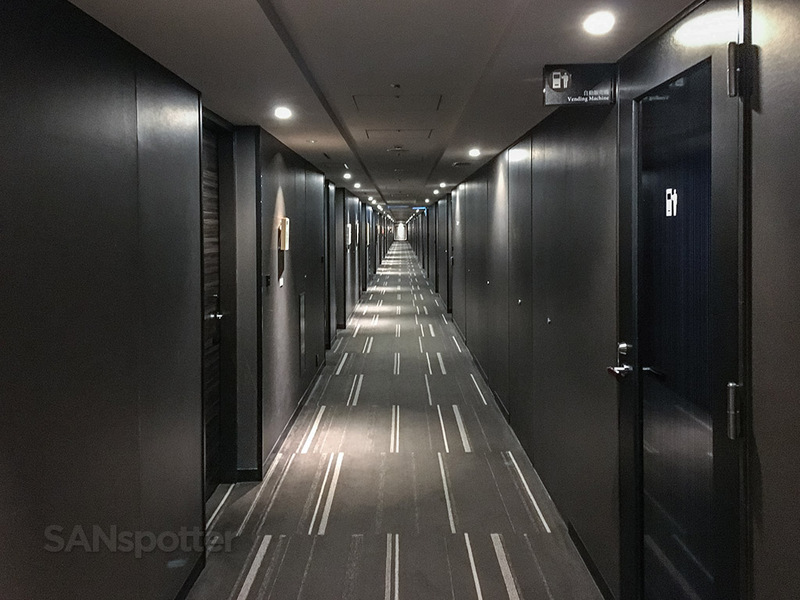 Case in point: cracking open the door to my room at the Royal Park THE Haneda Hotel here at the airport and being completely shocked when I saw that it was about the size of my walk-in closet at home. Welcome to Japan buddy! 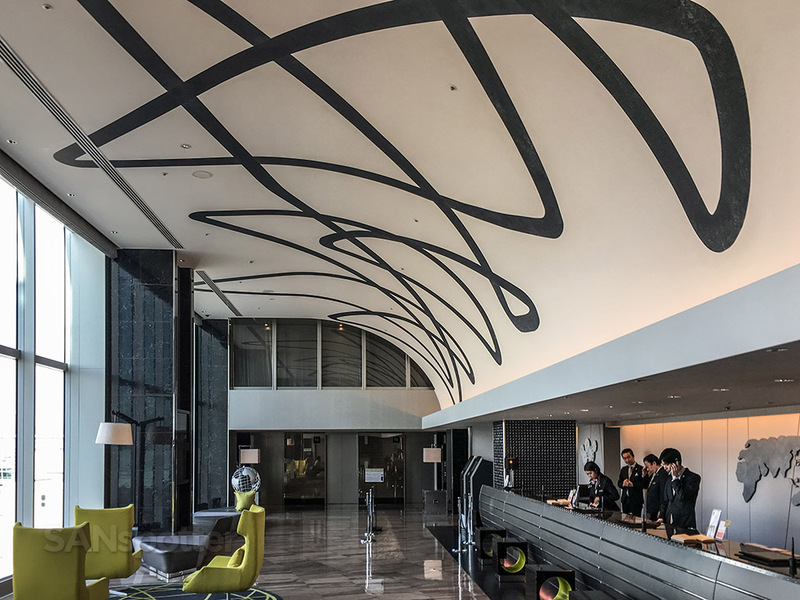 Speaking of quirky Japanese–isms, can we talk about the name of this hotel for a moment? Being a native English speaker who consumes a lot of Japanese content, it always makes me chuckle to read titles of things that somehow got lost in translation. 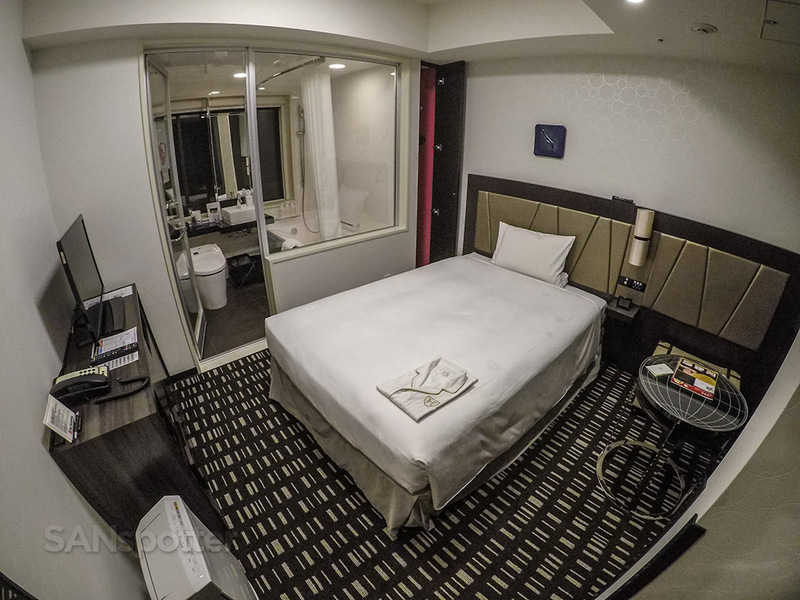 Not only is “THE” in the completely wrong spot in the title of this hotel, the fact that it’s all capitalized bothers me greatly because because it puts too much emphasis on what is essentially a glorified capsule hotel. In my opinion, using “THE” in all capital letters only seems to work when talking about a Grand Hyatt or something. 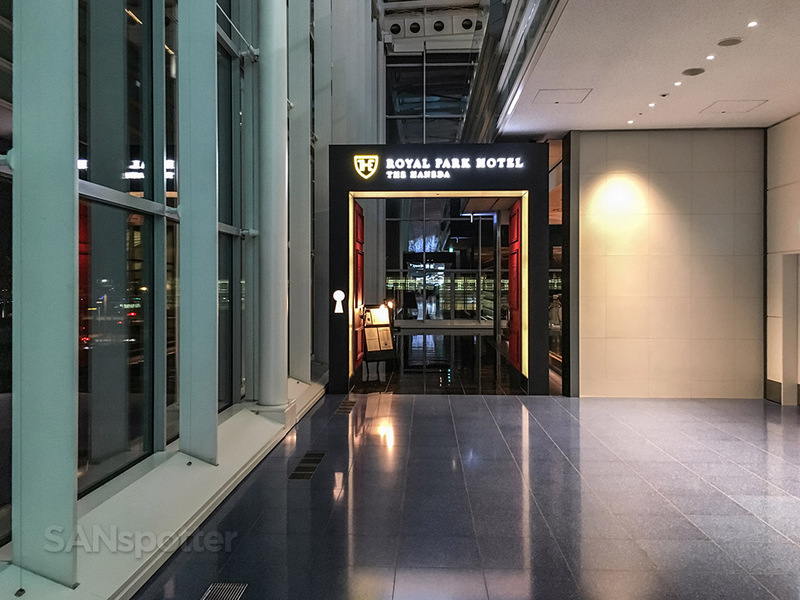 “THE Grand Hyatt” seems to roll off the tongue a lot better than “Royal Park THE Haneda”, don’t you think? Especially since Grand Hyatt’s are usually a heck of a lot more fancy than tiny airport hotels like this could ever be. Part of me feels disappointed that I didn’t walk into the place wearing the T-shirt I bought in Japan many years ago that has an illustration of beautiful mountains on it with the caption that reads “Encounter Super Mountain Scenery”. Yeah, the English is technically correct but…It’s just not right. OK, enough about Japanese versus American culture. I love Japan and its culture with all my heart, and I can confidently say that I would be very happy to live there for the rest my life. It’s an amazing place with amazing people, so please don’t get the idea that I am looking down on anyone or anything. I may be as white as white boy can get, but I honestly feel like I’ve got a bit of Japanese in me and it always feels like home to me whenever I’m there (except when the weird stuff happens of course). Speaking of being home, let’s get back to the topic of this post. Where was I? Oh yeah… I was cracking open the door to my room. 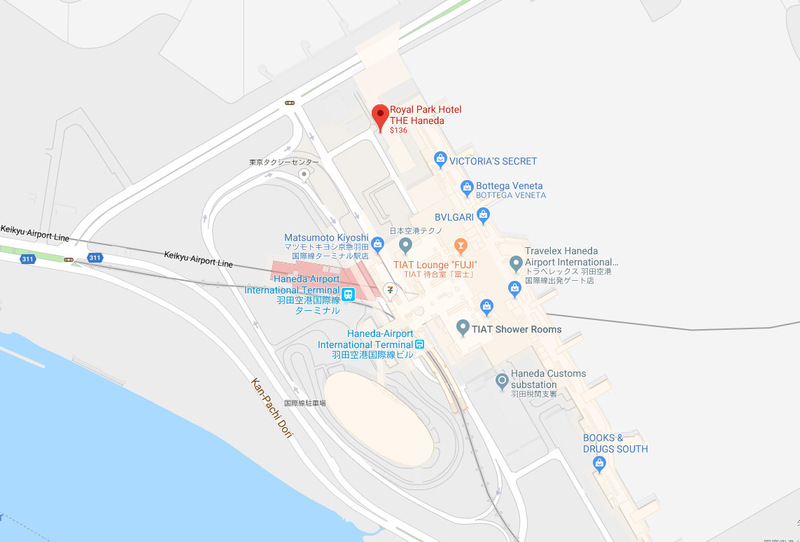 Actually, let’s back up a bit further and pick things up at the entrance of this hotel which is located adjacent to the departure lobby of Haneda International Airport (HND). 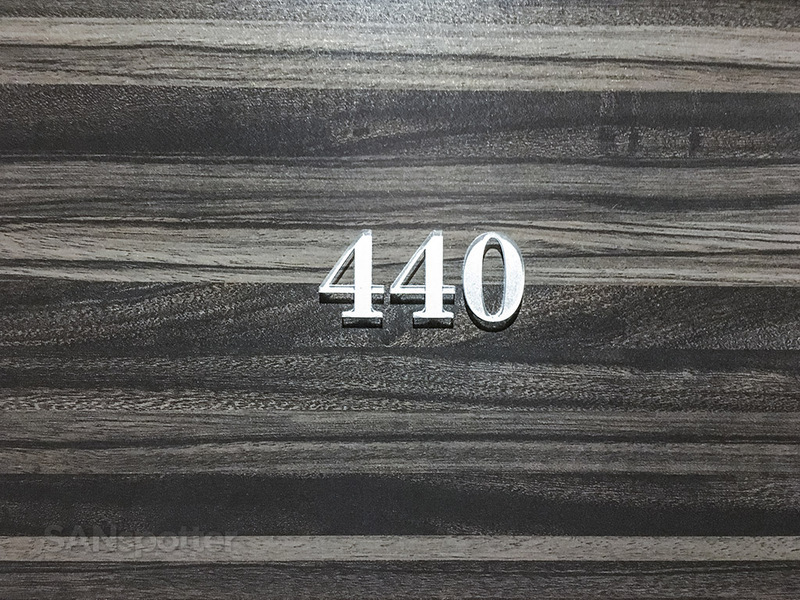 I’m not normally a fan of hotels situated in dark and spooky back alleys, but I was willing to take a gamble on this one. This is the lobby, which left me with a craving for some vanilla ice cream with chocolate sauce drizzled all over it. I’m not really sure why though. All jokes aside, right away I was really liking the style and design of this hotel. It looks great! What the hell? The room is so tiny that I can’t even fit it all in with the normal lens on my phone! OK, that’s better. 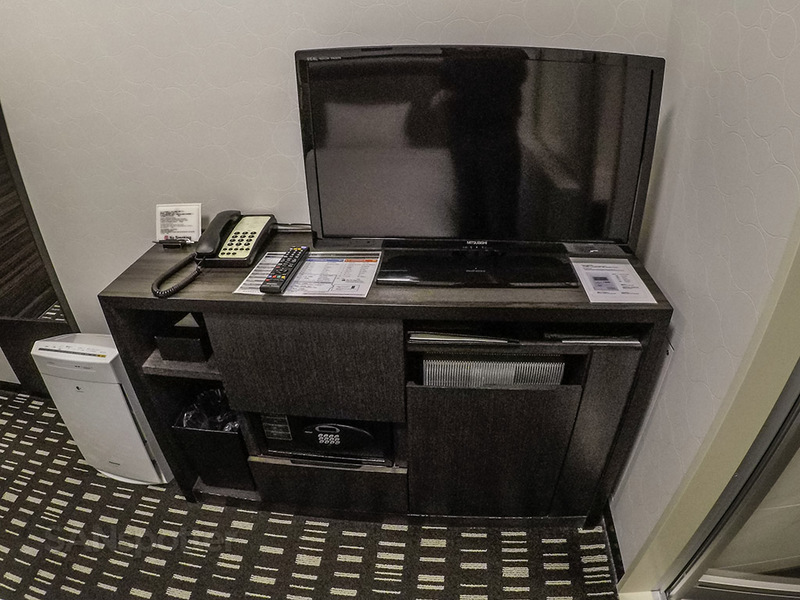 Yes, the room may be small, but it’s perfectly acceptable for a short one night stay. 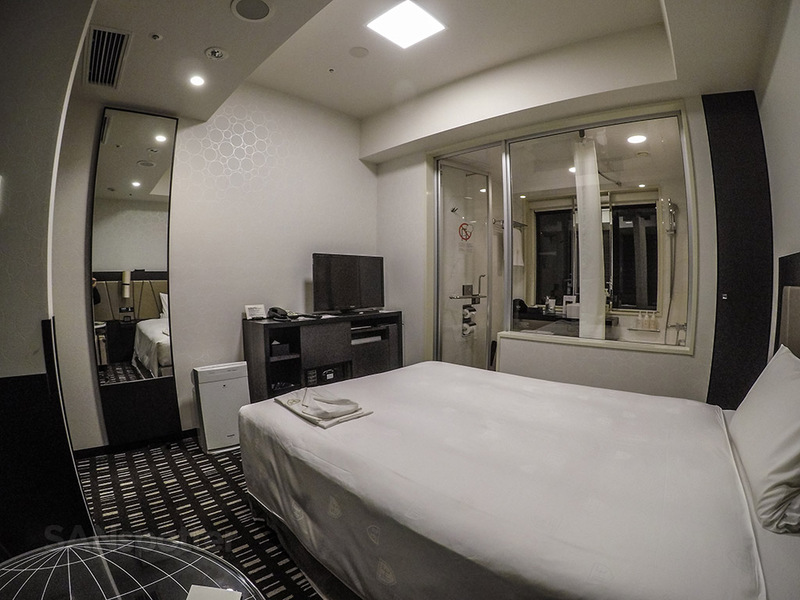 This might be the smallest hotel room that I’ve ever stayed in, which was admittedly shocking at first, but after a few minutes went by I realized that it was actually very nicely designed and perfect for what I needed (a comfortable place to sleep very near to the airport). Another completely unnecessary pic showing nothing that you haven’t seen already. Not only was this the smallest hotel room that I’ve ever stayed in, it was probably also one of the most stylish. I want one of those globe tables! Man, I really miss Pan Am. The Japanese are simply unmatched when it comes to packing tons of stuff into very tiny spaces. I’m diggin’ the efficiency here! I had no idea what this little appliance is. It has some buttons on it, with Japanese script everywhere, and it was plugged into the wall like it was ready and waiting to do something important. 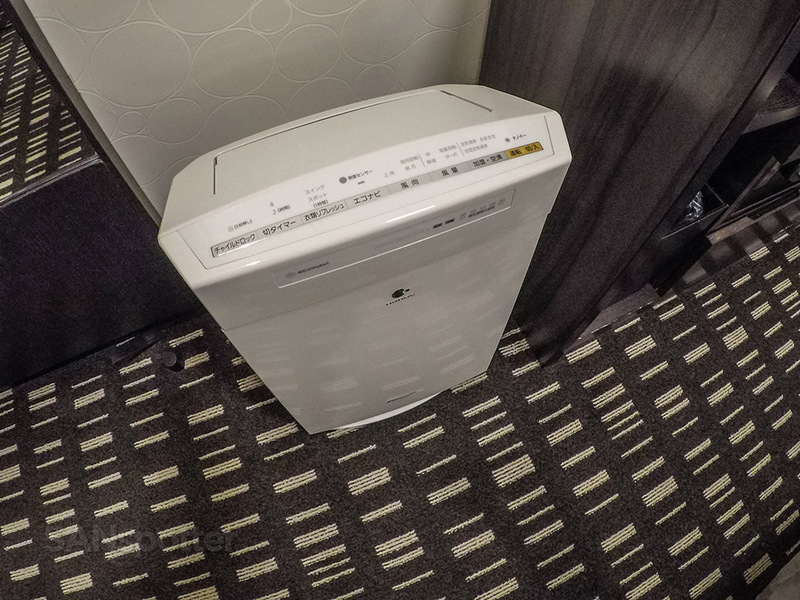 Is it a paper shredder? A humidifier perhaps? I really have no idea! 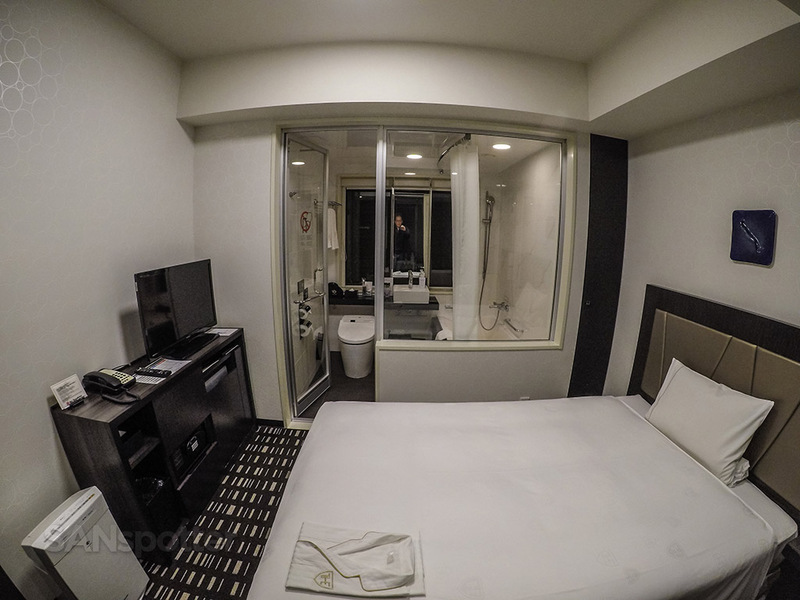 As you can see, the rooms here at the Royal Park THE Haneda are quite different than anything you would find back home in US. It’s not any worse, and as a matter fact in many ways it’s a lot better. We Americans tend to associate size with greatness, so coming at this from an American perspective was a bit jolting at first. 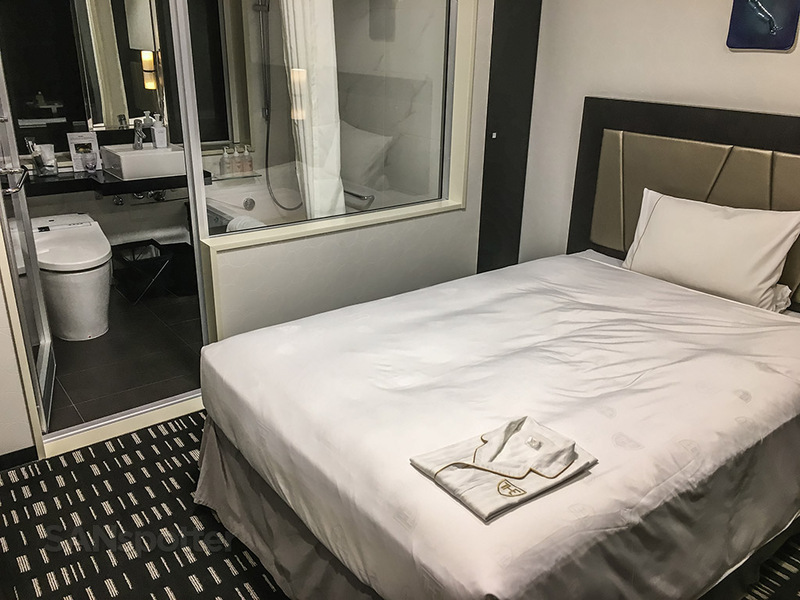 But once I got past the initial shock of how small this room was, I quickly came to realize that it was probably one of the better hotel rooms that I’ve had a good long while. The layout was super clean and very efficient. 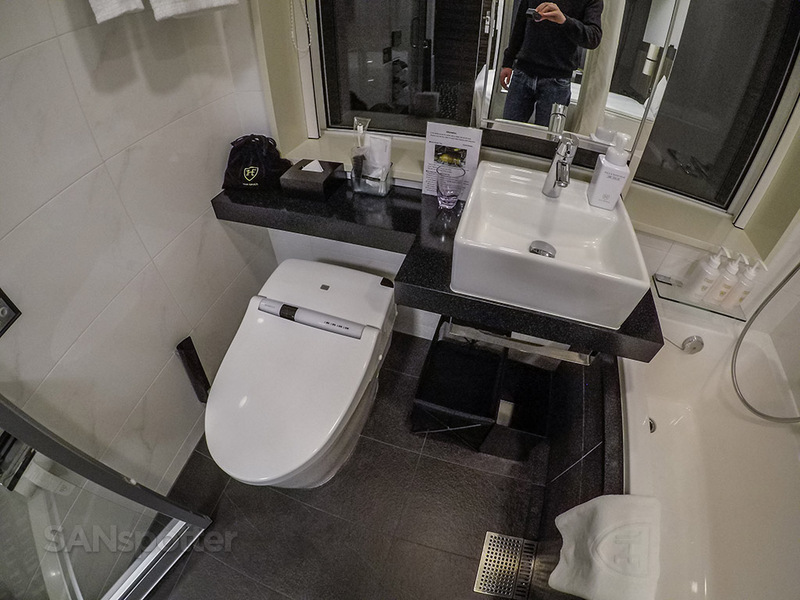 I especially liked the fact that the bathroom was nearly the same size as the main room and stuffed full of luxuries such as a deep tub, heated floor, high water pressure, and one of those fancy electronic Japanese toilets that do things to derrières that would make Donald Trump blush. Japanese bathrooms are amazing, and this one did not disappoint. Is there anything more amazing on this earth then a Japanese toilet? If there is, I’ve yet to find it. 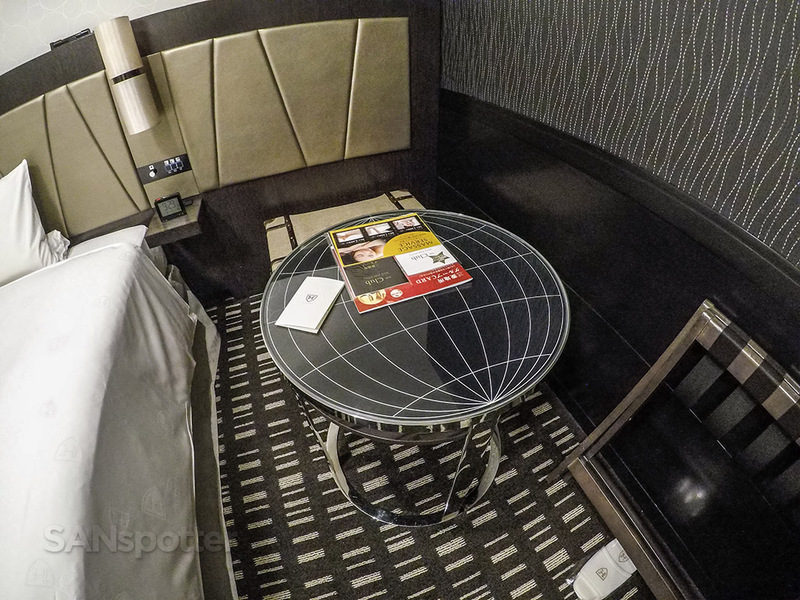 Was this the best airport hotel that I’ve ever stayed in? Quite possibly…yes. 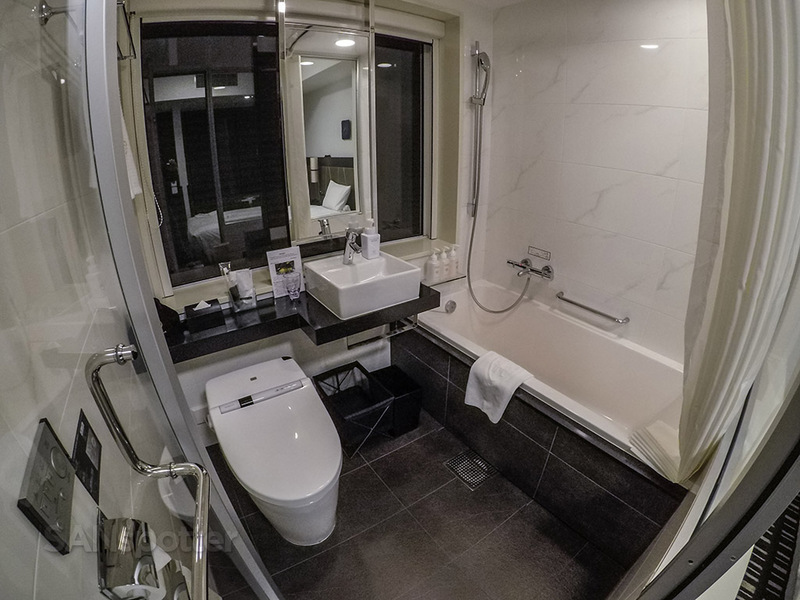 The Marriott at the Calgary International Airport had been holding the number one spot in my mind for a long time, but that was a completely different kind of experience compared to this so I’m not really sure what to think. 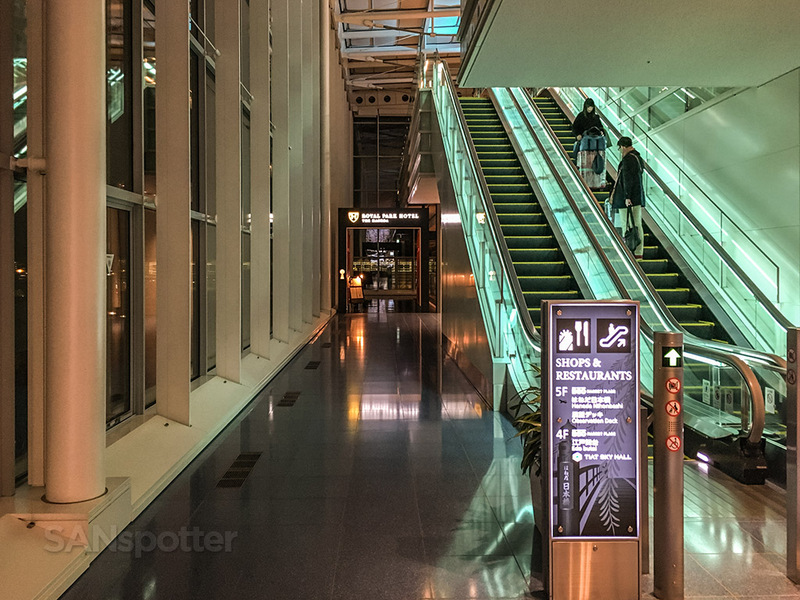 Both are great in very different ways, but being the simple kind of guy that I am, I’m starting to think that maybe the Royal Park THE Haneda takes the number one spot. That name though. Something needs to be done about that name!